You need mini idli plates to cook this. 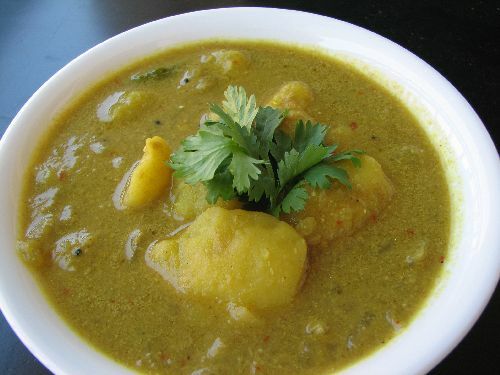 How to make batter for soft idlis can be found here. You can use the same batter for making regular idlis and dosas. 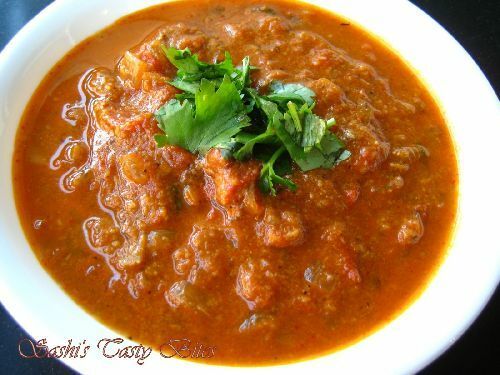 Tasty sambar is the key for this. 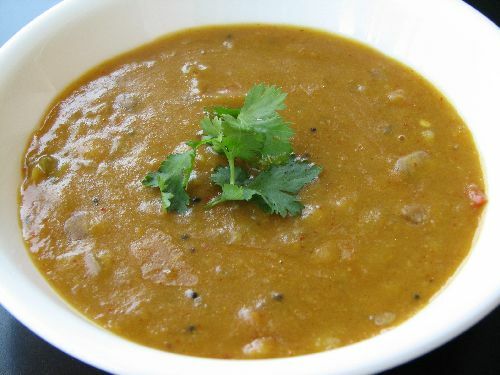 Usually no vegetables are added and the sambar should be little watery than usual. 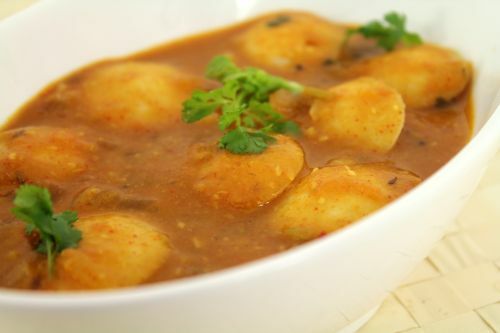 Idlis can be either soaked in Sambar for 3-4 hrs before serving or can be added instantaneously. Soaking it for a while tastes better and is my favorite. Fill the pressure cooker with 1 cup of water. Pour the batter in the mini idli plates using a spoon to get the quantity right. Keep the stack of idli plates in pressure cooker and place the lid. REMEMBER: Do not put the whistle for cooking idli, it will turn out hard as a rock. Cook this on medium high for about 10-15 min. 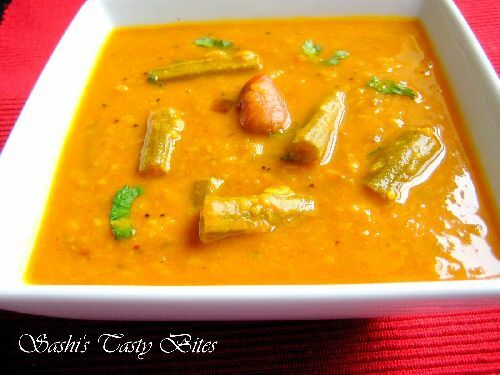 Remove it from stove and let it sit for 5-10 mins so that the idlis come out easily without sticking. Remember again that sambar plays an integral part in this. 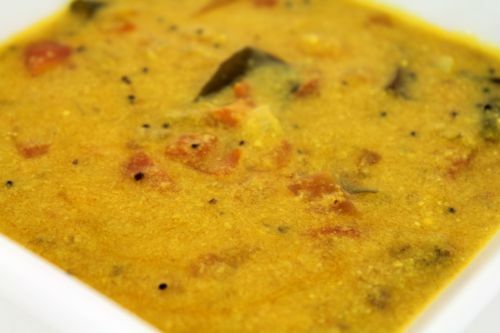 I love making the sambar in regular Tamilnadu style than the other Hotel Sambar. Soak toor dal for 1-2 hrs, pressure cook the items given in “To Pressure Cook” for 3-4 whistles and then leave it in low flame for 5 min. Mash the cooked dhal nicely when done. Chop the onion, green chili, coriander leaves, garlic. Chop the tomatoes finely or crush it. Fry and grind the items given in the section “To Fry and Grind” to fine powder. Use the ingredients given in “To Season”. In a pan heat the oil, when hot, add mustard and fenugreek seeds. When they start spluttering add garlic, green chili, red chili, curry leaves and red onion. Saute it until the onion is cooked well. 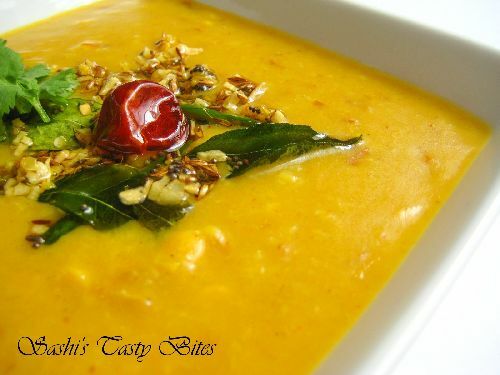 Add asafoetida, turmeric, tomato, sambar powder, ground powder and tamarind juice. Cook this until the tomato is well cooked for about 5 min in medium flame. Add the cooked dhal, required water and needed salt. Let it cook for 5 min in medium low flame. Add coriander leaves, some dry coconut and ghee before taking out from stove. Reminds me of airport where every time i travel i buy a bowl full of button idli dipped in sambar!! you are exactly correct i too have tried and this is awesome!!! !